Webbswood Runaway Dolly and Thomas finished 7th at the Liverpool International 128cm pony show jumping Championships on 30 December. It was a great opportunity for Thomas to ride on another big stage, the atmosphere was electric. 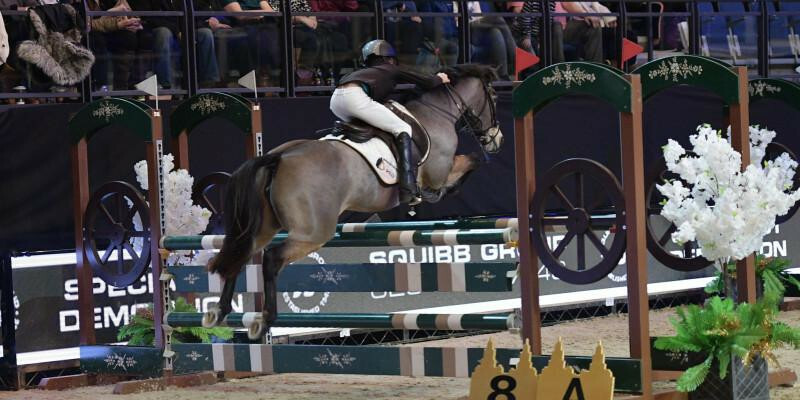 Although not quite up to winning a major championship this season they managed to qualify for all the major finals which were held at Hickstead, Horse of the Year Show, Olympia and Liverpool. We would like to thank Webbswood for their continued and generous support making this possible.